For more than 15 years Marc has been helping couples struggling to conceive and have healthy babies. In addition to his Doctor of Acupuncture and Oriental Medicine, Dr. Sklar trained at the Harvard Medical School, Mind/Body Medical Institute. He is the creator of MarcSklar.com and ReproductiveWellness.com, the co-author of Secret to Conception and a Fellow of the American Board of Oriental Reproductive Medicine and Medical Advisor for Natural Health International. 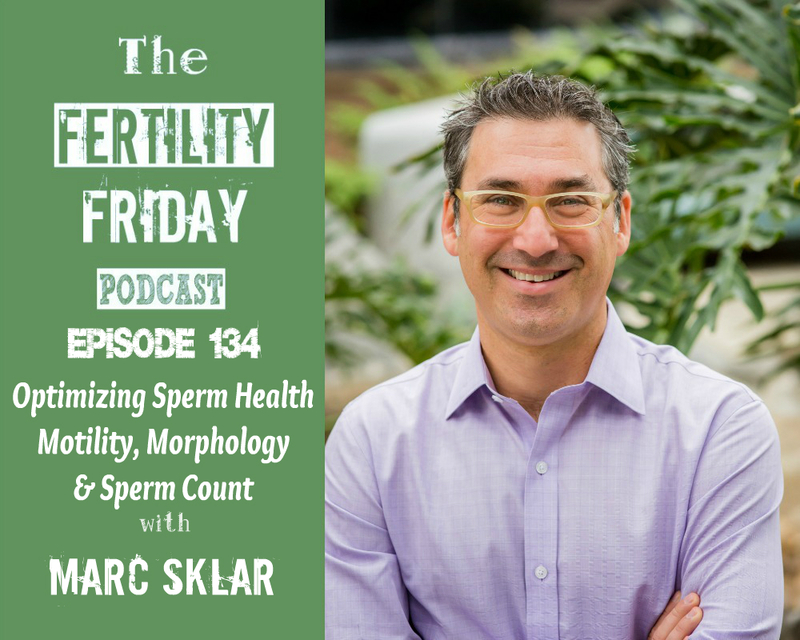 In today’s show, we talk about sperm health. I’ve had so many questions about this topic that it is ridiculous, and I’m happy to have Marc here to talk more about this. Why are we more likely to assume it’s a woman’s issue? What are the 3 main parameters that determine sperm health? Why has the “normal” sperm count declined by 75% over the past 50 or 60 years? What is considered to be normal motility and morphology? How long does it take to see the change in his lab results? Thank you for this episode. When my husband and I were going through our infertility struggles I wanted him to get his sperm tested after about 6 months of us trying. He e-mailed his doctor to ask and the doctor replied that no, he couldn’t get it tested because it’s 99% likely the woman’s “problem” and it would be a waste. It was one of the worst e-mails from a medical professional I’ve ever read. After that we fired his doctor and he found a new doctor who had no problem ordering him the test. Results came back great but it was nice having another thing checked off our list as potential issues.